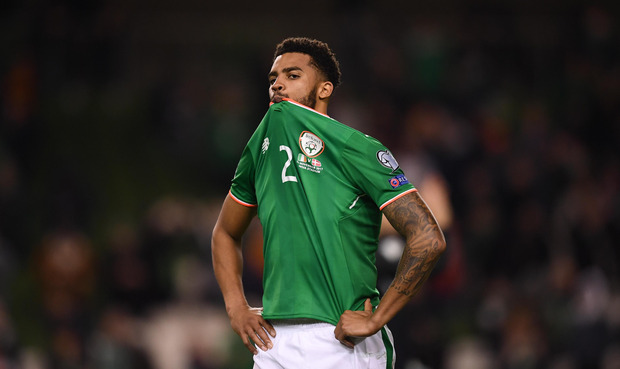 Former Ireland midfielder Ray Houghton has said that the online abuse of Ireland defender Cyrus Christie has been 'dreadful' and 'shameful'. Speaking at the PFAI awards last weekend, Ireland winger James McClean revealed that Christie was left in tears by a message that said he should go and play for Jamaica after months of racial abuse directed towards him on social media. Paul McGrath wrote on his Twitter account on Monday that he was disgusted by the abuse while his former teammate Houghton said that playing for Ireland was never about the colour of your skin. "It's dreadful," Houghton told RTÉ Radio 1 on Tuesday morning. "Shameful, the behaviour of people on social media. "Cyrus is an extremely good footballer. One of the great things about playing for Ireland is that it was never about the colour of your skin, it was always about pride in the shirt and giving 100pc. "It was about your attitude and commitment and certainly Cyrus has shown that in all the matches he has played for the country." Houghton added that he hopes that authorities bring those responsible to justice and that those tasked with running social media websites have a responsibility to be more diligent with regards to how they monitor and treat racial abuse online. "You do get keyboard wizards who come out and write things about certain individuals and think they can get away with it but I hope the authorities are on to them and they get what they deserve," added Houghton. "With social media, we've opened up a can of worms. Anyone can go on there and write what they want. "The people who are running these websites have got to be more diligent about what's going on and make sure the authorities are given the ability to catch them and punish them for what they're doing." The FAI subsequently referred the matter to the Gardai.